… vaccine makers continue to create vaccines that attempt to outsmart the microbes, and typically fail, which often leads to severe consequences like with Dengvaxia. 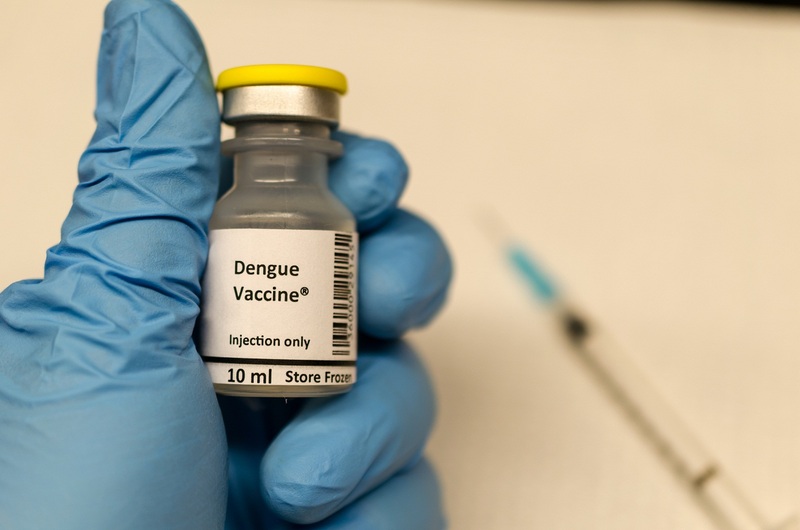 Sanofi Pasteur announced that its dengue vaccine, Dengvaxia, may lead to more severe cases of dengue fever in some people—a warning it relayed after the vaccine was already administered to more than 700,000 children in the Philippines. Those at risk, according to Sanofi, are people who have not been previously infected by dengue virus. Symptoms of dengue fever range from mild (or none at all) to high fever along with headache, body pain, nausea, vomiting and pain behind the eyes, with most people recovering within a week.4 A severe form of the disease, known as dengue hemorrhagic fever or severe dengue, however, is life-threatening and can lead to difficulty breathing, circulatory system failure and death. It’s this severe form of dengue that Dengvaxia vaccine may increase risks for in people who have not previously been infected with dengue. To date, none of the children who received Dengvaxia were tested for prior dengue infection. In fact, the current test available can only test for evidence of prior infection with all flaviviruses, including Zika, chikungunya and Japanese encephalitis, and would turn positive for exposure to any of them, including dengue. In April 2016, just four months after Dengvaxia’s approval, the Philippine government launched a school-based dengue vaccination program among fourth-graders in public schools in three regions hardest hit by dengue. Three million doses of the vaccine had been purchased by the government, worth nearly $70 million, and were intended to vaccinate 1 million schoolchildren (with three doses each). At the time, critics expressed concern about the vaccine program’s safety, since the vaccine was still being studied. The DOH-Dengue Vaccine Implementation Committee (DVIC) wrote in April 2017, “After allocating the vaccines … we have projected a large excess supply of Dengue vaccine.”11 While there was initially talk of expanding the vaccine program, Sanofi’s announcement likely will change that. The World Health Organization (WHO) is among those in the midst of reviewing data on Dengvaxia following Sanofi’s announcement. However, the organization issued a report in 2016 that revealed “vaccination may be ineffective or may theoretically even increase the future risk of hospitalized or severe dengue illness in those who are seronegative at the time of first vaccination regardless of age. Singapore’s Health Sciences Authority also identified risks of the vaccine upon its October 2016 approval, and reportedly was adding risk warnings to the drug’s label. In Brazil, where a public vaccination program with Dengvaxia was also implemented, health officials have changed recommendations to advise people who have never been infected with dengue to not receive the vaccine. In their statement, Sanofi said their new findings highlight the “complex nature of dengue infection,”17 which appears to be their way of trying to pass the buck for creating a vaccine that may lead to severe disease in some children. It’s also important to note that dengue is in no way unique in its complexity; other viral diseases exhibit similar complexity. Yet, despite huge gaps in scientific knowledge about infectious microbes that cause disease, vaccine makers continue to create vaccines that attempt to outsmart the microbes, and typically fail, which often leads to severe consequences like with Dengvaxia. In addition, when blood samples from 27 healthy, unvaccinated children and 14 children who had received an annual flu shot were compared, researchers found that the unvaccinated children naturally built up more antibodies across a wider variety of influenza strains compared to the vaccinated group. Another issue often disregarded in discussions of vaccine safety is the spread of vaccine-strain virus infections, including polio, along with widespread vaccine failures among vaccines for mumps, meningococcal disease and pertussis. The conventional solution to failing vaccines is to add booster shots to the schedule, with unknown consequences for natural immunity and human health. It’s a complex situation indeed, which is why open conversations and unbiased research into vaccine safety and efficacy are so badly needed before a one-size-fits-all vaccine approach should be continually recommended. Note: This article was reprinted with the author’s permission. It was excerpted and slightly modified from an article published on Dr. Mercola’s website at www.mercola.com. 1 Sanofi Pasteur November 29, 2017. 2 ABS CBN News November 30, 2017. 3 WHO, Dengue and severe dengue April 2017. 4 Mayo Clinic, Dengue Fever. 5 Sanofi Pasteur December 22, 2015. 10 ABS CBN News June 21, 2017. 12 Rappler November 30, 2017. 13 Fox News January 3, 2017. 14 WHO Dengue Position Paper July 2016. 15 Reuters December 4, 2017. 18 Journal of Virology 2011 Nov;85(22):11995-2000. 2 Responses to "Dengvaxia Vaccine May Lead to More Cases of Dengue"
So, less than 2 years of “after-market testing” revealed the dangers of this vaccine that was not detected in 6 years of pre-market clinical testing. Hmmm……. sloppy work. There may also be a correlation with arthritis, just like the parvo vaccine. My pet had lameness after a vaccine. The doctor then wanted $900.00 to figureout why with new labs and Xrays. They make a lot of money and hurt out pets unnecessarily. Read about Banfield’s computer system and how they dumb down the doctor. The pet vaccines are not adjusted for weight either.